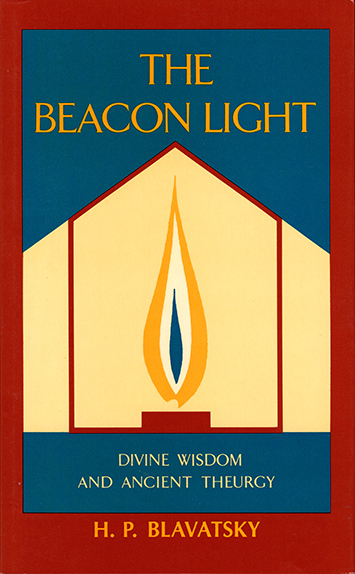 The Beacon Light consists of eight quintessential essays by H.P. Blavatsky, the founder of the modern Theosophical Movement. "What is Theosophy?" is a masterly exposition of the fundamental premises of Theosophy. 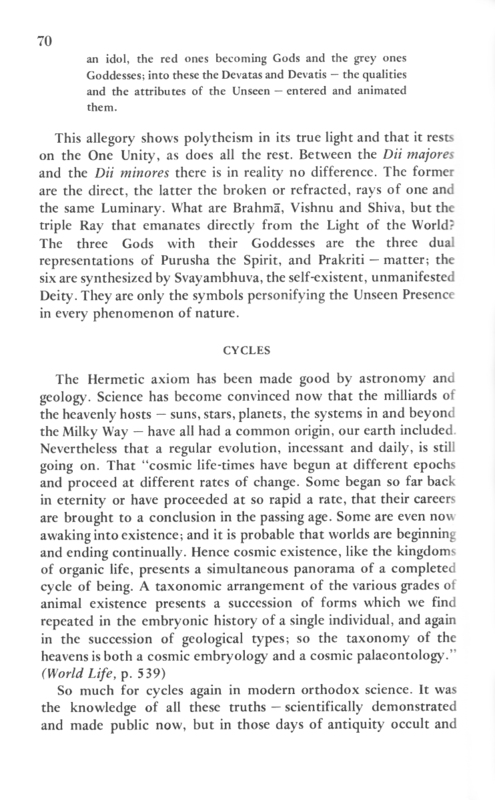 "The Secret Science" and "The Beacon Light of the Unknown" provide an invaluable perspective on the Theosophical tradition, ancient and modern. 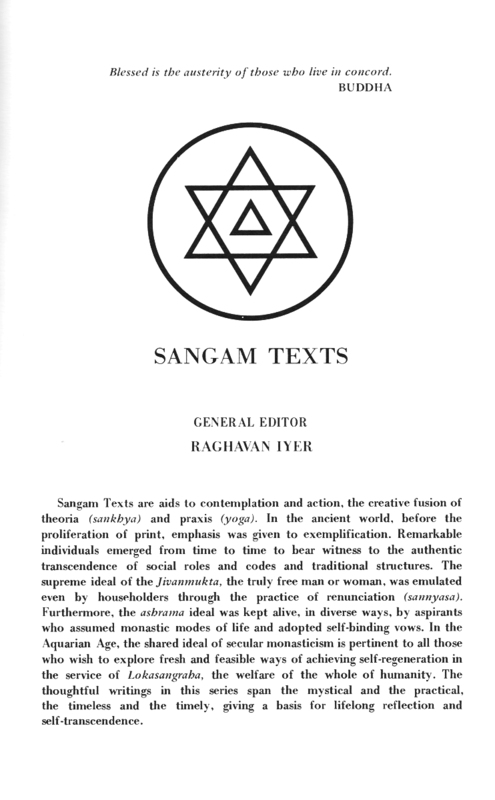 "Aryan-Arhat Tenets", "Occult Vibrations" and "Minakshi of Madura" convey the Theosophical standpoint in relation to ontology, the"The Legend of the Night-Flower", one of her earliest writings, is a profound testament to the poignancy of transcendental and human love. 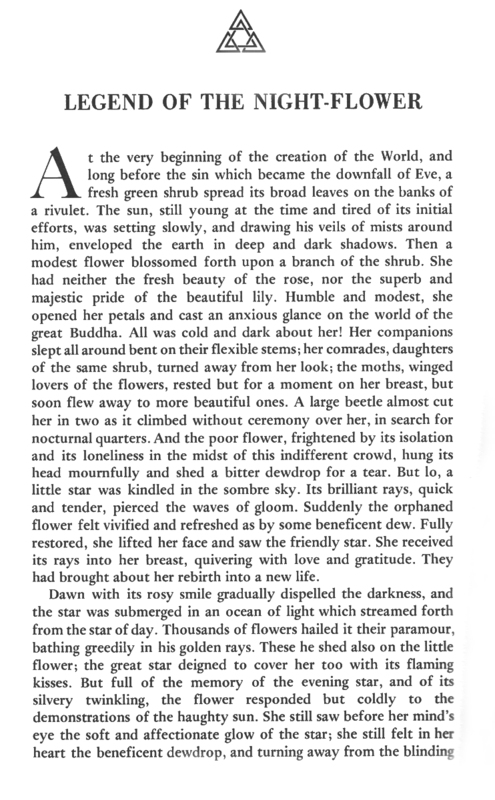 77 pages. Sewn, softbound with dust jacket. Click a thumbnail below for an enlarged view. Vaughan offers a far better, more philosophical definition. 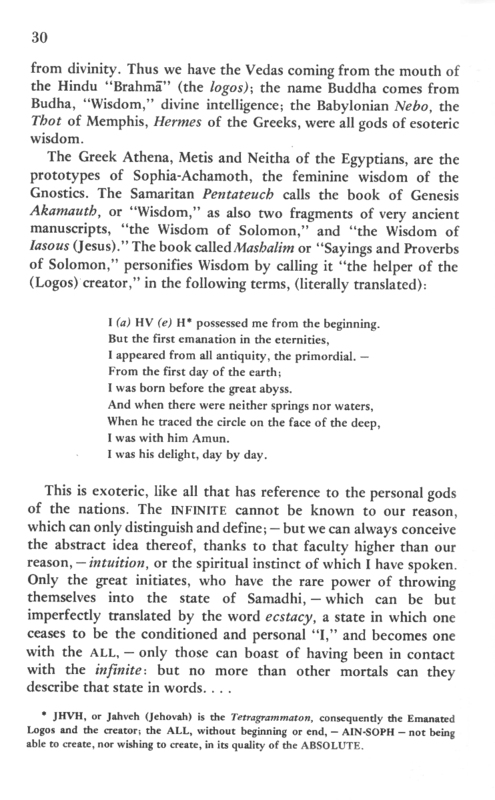 "A Theosophist," he says -- "is one who gives you a theory of God or the works of God, which has not revelation, but an inspiration of his own for its basis." In this view every great thinker and philosopher, especially every founder of a new religion, school of philosophy, or sect, is necessarily a Theosophist. Hence, Theosophy and Theosophists have existed ever since the first glimmering of nascent thought made man seek instinctively for the means of expressing his own independent opinions. There were Theosophists before the Christian era, notwithstanding that the Christian writers ascribe the development of the Eclectic theosophical system to the early part of the third century of their Era. Diogenes Laertius traces Theosophy to an epoch antedating the dynasty of the Ptolemies; and names as its founder an Egyptian Hierophant called Pot-Amun, the name being Coptic and signifying a priest consecrated to Amun, the god of Wisdom. But history shows it revived by Ammonius Saccas, the founder of the Neo-Platonic School. He and his disciples called themselves "Philalethians" -- lovers of the truth; while others termed them the "Analogists," on account of their method of interpreting all sacred legends, symbolical myths and mysteries, by a rule of analogy or correspondence, so the events which had occurred in the external world were regarded as expressing operations and experiences of the human soul. It was the aim and purpose of Ammonius to reconcile all sects, peoples and nations under one common faith -- a belief in one Supreme Eternal, Unknown, and Unnamed Power, governing the Universe by immutable and eternal laws. 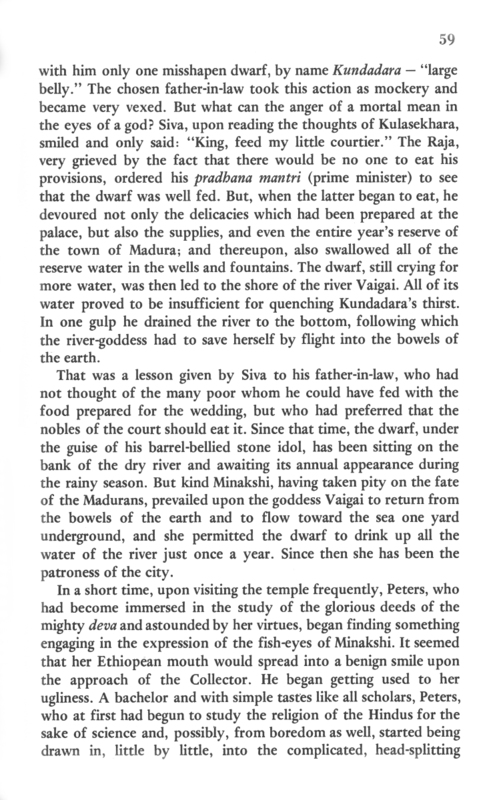 His object was to prove a primitive system of Theosophy, which at the beginning was essentially alike in all countries; to induce all men to lay aside their strifes and quarrels, and unite in purpose and thought as the children of one common mother; to purify the ancient religions, by degrees corrupted and obscured, from all dross of human element, by uniting and expounding them upon pure philosophical principles. 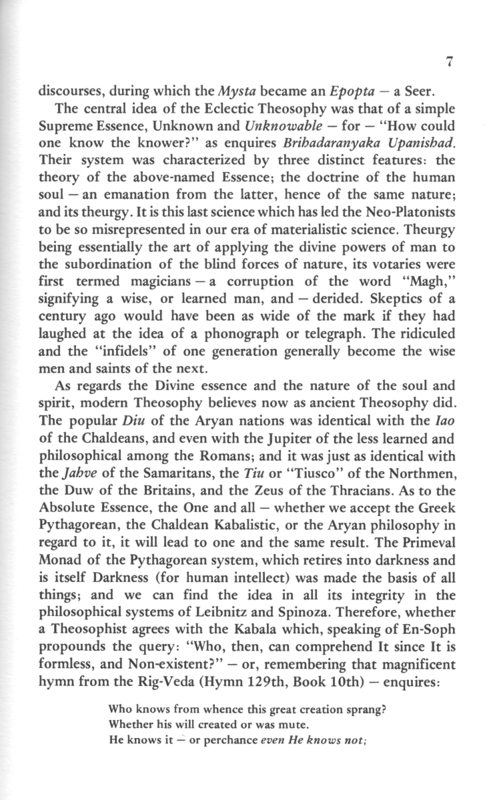 Hence, the Buddhistic, Vedantic and Magian, or Zoroastrian, systems were taught in the Eclectic Theosophical School along with all the philosophies of Greece. Hence also, that preeminently Buddhistic and Indian feature among the ancient Theosophists of Alexandria, of due reverence for parents and aged persons; a fraternal affection for the whole human race; and a compassionate feeling for even the dumb animals. While seeking to establish a system of moral discipline which enforced upon people the duty to live according to the laws of their respective countries; to exalt their minds by the research and contemplation of the one Absolute Truth; his chief object in order, as he believed, to achieve all others, was to extract from the various religious teachings, as from a many-chorded instrument, one full and harmonious melody, which would find response in every truth-loving heart.